Fancy a night out with your partner or an excuse to get the girls together? Mecca Bingo are holding what looks like a fab event on Saturday and I’m gutted I’m not free to go to it but wanted to share, in case you are local. This Saturday, for one night only, a night of bonkers bingo in Blackpool. Mecca Bingo are planning to combine the traditional game of bingo with lots of fun that you wouldn’t usually expect in a bingo hall! The evening kicks off at 9.30 and goes on until 12.30am with a whirlwind of exciting games, dance offs and hilarious prizes from unicorn onesies to big cash prizes. You can expect a jampacked night of fun, food and cocktails plus shots, beers and burgers available throughout the evening. 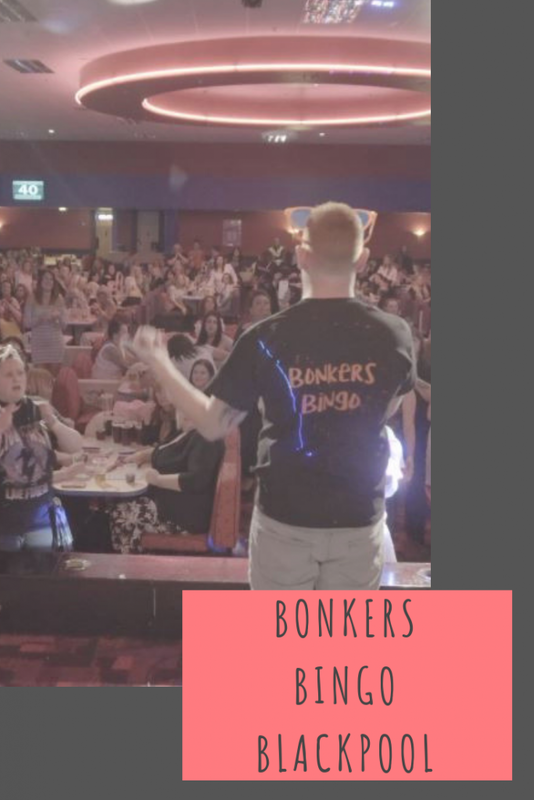 Nick Cook, club manager at Mecca Blackpool, said: “We’re very excited about welcoming locals to our Bonkers Bingo event. It’s sure to be an absolute mad house as we cheer on the winners and their quirky prizes and dance the night away with the DJ. If you’re local and go on Saturday, I want you to return and tell me all about it please. If you’re not local, check out what’s going on at your Mecca Bingo as they are all increasing the variety of entertainment and events they host in club, from comedy nights, to 5ive performances and Bonkers Bingo nights. Pop over to Skiddle to book your tickets, it’s £5 per person which includes entry and entertainment and playing bingo will be £1 on the night so it’s a lot of entertainment for not a lot of money! I’ve never been to the bingo but it looks like such fun! I, too have never been to bingo. It looks like a fun night out. I absolutely love going to the Bingo. Its so much fun and you can usually get very cheap drinks too! Haha, this sounds like such a great girls night out! I’d be happy to win a unicorn onesie, nevermind the rest of it ! Bingo used to be such a popular thing to do in the village I grew up in, but it was always old folk, lol! I really ought to give it a go. I’ve never played bingo but I do hear from friends that it’s a fun way to socialise and have a good night out.